Blog > Cannabis Education > Does Cannabis Help With Period Cramps? Does Cannabis Help With Period Cramps? It’s a question that’s become increasingly popular as cannabis and its applications become more and more mainstream. In fact, treating menstrual cramps with cannabis dates back to the England of Charles Dickens. 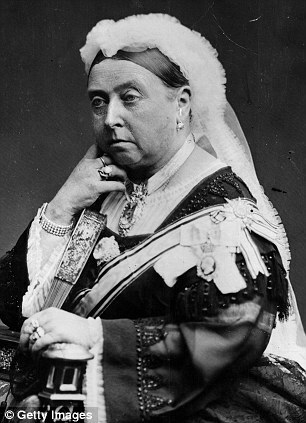 Queen Victoria (whose reign began June 20, 1837, and continued until her death on January 22, 1901) used marijuana for relief of severe menstrual cramps. Any Research to Support It? Tetrahydrocannabinol (THC) and cannabidiol (CBD), two primary chemicals in marijuana help the uterine muscles in the body to relax, in a similar way that it provides relief from the muscle spasms associated with Multiple Sclerosis. There is also evidence to support that cannabis has a positive impact in soothing the emotional symptoms typically associated with Pre-Menstrual Syndrome (PMS) and Pre-Menstrual Dysphoric Disorder (a more severe form of PMS). Cannabis is also well-know to help eliminate insomnia and reduces general anxiety. Sadly, due to impediments resulting from current federal laws, researchers remain in a constant uphill battle to gather data, run trials and collect vital information to help discover marijuana’s full potential (including if it cannabis suppositories can alleviate the pain associated with period cramps). But there is hope, and a ton of anecdotal evidence from women around the world to support its use. We know from existing research that cannabis can reduce pain, we are also aware that THC can reduce anxiety and nausea – the most common symptoms of PMS for which patients seek treatment. With awareness and understanding of the medicinal effects of cannabis for a variety of medical conditions spreading, more and more prominent personalities are stepping up to raise awareness, some are even launching their own products! Last week Whoopi Goldberg announced that she had joined with Maya Elisabeth — one of medical marijuana’s leading “canna-businesswomen” — to launch a line of cannabis-infused products geared at providing relief from the symptoms of menstrual cramps. Whoopi & Maya offers a wide-range of products including edibles, topical rubs, tinctures and even a bath soak. Goldberg said discretion was a key feature in the creation of her product line because it allows you the option of getting relief without “getting high.” The topical rub, for example, could be used for lower back pain while at work while a cannabis-infused bath soak at the end of the day may be just the remedy you need. Whoopi & Maya isn’t the only brand on the market either. Foria currently offers a line of feminine goodies that, while aimed primarily at enhancing the sexual experience, does contain a 4-pack of “relief suppositories” which promise to “deliver the medicine directly to where it is needed most.” It’s essentially a CBD-based product for menstrual pain and period cramps. Emily (Aspen, CO): I swear by it. Vape or tea to get me over the hump of pain once a month. Freida (Inglewood, CA): For me, there wasn’t ever really a debate. I have been using cannabis for pain relief for years. I refuse to consume toxic chemicals to heal my body. That kind of logic never has and never will make sense to me. Anonymous (the Netherlands): I guess you’d call me a hippie. I mean I’m all about being natural and yeah, menstruating is natural, but I don’t believe in unnecessary suffering, so I take a natural remedy.